Platform Xbox 360, Linux, Windows PC (reviewed), Mac, iOS, Android. It seems like it was only recently that I was contemplating why so many games find themselves obsessed with the idea of the apocalypse, and once again we find ourselves at the end of the world as we know it, thanks to Anomaly: Warzone Earth. Bought to us by 11bit Studios, the game begins in 2018 after what appears to be a comet crashes to Earth and destroys several major cities, causing ‘Day Zero’. Oddly, instead of wiping out the cities entirely, the comet fragments have instead caused giant forcefields – or anomalies – to appear. A week later, the commander of the 14th Platoon leads a squad to investigate what’s going on inside the anomalies and this when you come in. The tutorial level begins with you about to head into an anomaly and it’s here that the game slowly eases you into the mechanics; you’ll have to swap the order of units about to form a more strategically viable lineup, activate suit commands to protect your units, and be constantly changing your path through the level to get through in one piece. There are a series of fixed paths throughout each mission that your squad will rigidly adhere to, with your control over their movement limited to where they’ll turn at each crossroad and what order they’ll move through the terrain. 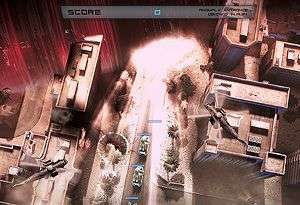 Your commander, however, is free to move across the map as he wishes, which allows him to pick up and use various suit abilities in whatever way you see fit, though as he can’t actually fire on any of the enemies himself – your role in the game is a far more non-violent one as you simply have to protect your squad as they take on those pesky aliens. Wait, aliens? I fear I’ve got ahead of myself here so allow me to explain: once you’ve passed through the anomaly you discover that it wasn’t a comet that killed everyone inside those major cities, but vastly technologically superior aliens that appear entirely in the form of various turrets attempting to block you from your objectives. Hold on a second… you have to take various fixed paths through a level whilst protecting your units from turrets and traps? And then it hits you. Anomaly: Warzone Earth is a tower defence game, but not in the way you think, because you’re the one attacking the towers, not defending them. Anyone expecting a similar kind of twist to the story will come away feeling disappointed as there’s no real complexity to it whatsoever. The game tells you that the ‘comet’ destroyed several major cities around the world, but you’ll only find yourself visiting two throughout the campaign, and you visit one of those cities twice. In addition, there’s a plot point that comes up halfway through the story that’s totally ignored until you’ve finished the final level, yet fails to surprise or shock in any manner. Sadly, the voice acting is rather naff on the whole, with a couple accents verging on a stereotype level that is a touch more than is really comfortable, and not aided at all by what is some pretty mundane writing throughout. As you progress through the story you’ll slowly be introduced to additional forces for your squad, and so while you’ll start with APCs and Crawlers, you’ll soon be able to bolster your forces with tanks and units that fire plasma on multiple targets and vehicles that provide suit upgrades or shield nearby units for extra protection. Each type of unit varies in terms of attack and defence, and all of them can be upgraded up to three times (starting with the cost of the original unit and doubling afterwards), provided you have the cash. Attaining more cash is done by both destroying the enemy defences and from collecting the Carusaurum you’ll find scattered about each level, with the riskier paths potentially granting you more of the elusive material with which to reinforce your squad. Also vital for keeping your squad alive are the suit abilities you’ll be able to deploy; every level will give you a certain amount of abilities at the outset and will grant you more depending on how many enemies you destroy. You’ll start out with the repair ability, then be able to launch smokescreens to make your units harder to hit, decoys to distract enemy turrets, and even launch some death from above in the form of airstrikes. Non-airstrike abilities last for a short time and affect a designated radius, so it’s always wise to think carefully about where you put them, as it’s all too easy to use an ability just in case only to find that it would have seen much better use around the corner. Although, that said, you should never plan too far ahead. One of my biggest peeves is when a game gives the illusion of choice and then wrenches it away from the player whenever it can. Unfortunately, Anomaly: Warzone Earth is so horribly guilty of this that it’s practically rolling in the victim’s blood at the crime scene. 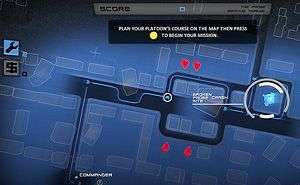 Before every mission the game will tell you to plot a path through to the objective, but after the third mission I genuinely stopped bothering to do so, because it normally takes less than a minute before the game finds a contrived reason for you to completely alter the path you’ve just crafted. What’s worse is that it just felt cynical more than anything else, and even worse than that is the way it’ll purposely disadvantage you if you veer off the path they want you to take, to the point that one level will essentially wipe out your entire squad if you don’t do as the developers tell you. Don’t give me the option to pick a path through a level if you’re not going to actually accomodate my choices and then force me onto certain paths; I’d feel far less annoyed about the experience if you were just upfront about putting me on rails rather than hoping I wouldn’t notice the parrot you’ve sold me isn’t pining for the fjords. Another cardinal sin the Anomaly commits is putting a checkpoint just before a block of unskippable dialogue. It’d be understandable if you quit out of the game mid-mission to come back to it later on and needed bringing up to speed, but if you do leave the game for any reason you’ll have to start the mission from the very beginning, making it all the more frustrating. Anomaly also resets your path to a default after checkpoints as well, which serves to only waste more of your time between restarting and getting back into the action. I’ve spent a fair chunk of time talking about what Anomaly does wrong, so what exactly does it do right? Well, the element of strategy is quite integral when you look past how much the game limits your movement path. In terms of units and the abilities you employ, you’ll find there’s plenty of room for experimentation, as I found I’d end up using my suit abilities completely differently depending on what units I had deployed. Eventually you’ll find yourself settling with layouts that work out for you, and it feels quite satisfying to lay waste to the opposition in your way as everything falls into place. If the action is going too slow then Anomaly allows you to speed up the proceedings at the push of a button, which comes in useful when you’re just mopping up the stragglers and want to get to the end, but is a massive risk if you’re heading into the unknown. It also speeds up those unskippable dialogues, but opts to just cut their sentences off rather than speed the voices up, which I can’t help but feel is a missed opportunity, although not a massive grievance. Another great plus is the fact that the game doesn’t have to end when the main story mode is over. After beating certain points in the campaign, the player can unlock modes that are essentially Anomaly’s equivalent of horde mode, but with a twist. 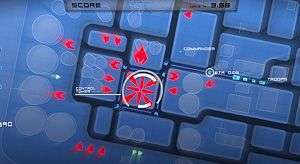 Baghdad Mayhem keeps you on one map as you have to move from wave to wave in the quickest and most devastating way possible, and while it becomes samey rather quickly it’s a great way to practice tactics and experiment. Tokyo Raid is by far the more interesting mode, albeit much harder. Giving the player eighteen consecutive waves in the form of islands to be traversed will prove to be a challenge to both your endurance and your patience, but each wave gives you a different variation of “kill everything in front of you”, and ended up being possibly my favourite part of the game. Once you’ve completed the campaign you’ll unlock the rearmed version of Baghdad Mayhem, but it didn’t grip me as much as Tokyo Raid did. Also of particular note were the extra missions that took away your squad commander and the ability to change your path and put all the strategy into units used and your ability to swap their positions on the fly; these showed how much extra potential existed within the game’s mechanics and concept which the developers thankfully chose to explore. It’s difficult to decide where I stand with Anomaly: Warzone Earth. I love the way that the game takes the tower defence genre and does something brilliantly unique with it, and I think there’s plenty to admire in terms of variety in the additional modes and the way that it builds on the tired horde mode to give it fresh life. However, I don’t love the lacklustre story, voice acting, or writing; nor the unskippable dialogues and occasionally poor checkpointing, or the fact that the game seems so intent on wrestling choice away from you that you wonder why it gave you the illusion that there was any in the first place. What makes those issues worse is that some of them feel as if they could have easily been averted but were simply ignored, which makes it harder for me to do likewise. If you find yourself able to get past the flaws, there’s an amazingly fresh take on the Tower Defence genre here, but it’s one with a fair few cracks in the walls. Refreshing and unique take on the Tower Defence genre. Extra modes do plenty to keep you playing after the campaign is over. Suit abilities and being able to change your squad on the go helps keep the strategy and action frantic. Lacklustre story, writing, voice acting and presentation. Unskippable dialogue after restarting checkpoints. Gives the illusion of choice and wrestles control away from you too often. Those who have had their fill of tower defence games or feel there's nothing new to add to the genre owe it to themselves to play this, as it changes the formula in a way that keeps the game feeling wholly unique. However, there are flaws present within the game that bring down its overall quality and, in some cases, act as a detriment to your enjoyment. Anomaly: Warzone Earth does more right than it does wrong and serves as an amazing example of how to approach a genre and bring something unlike anything else to the table. Whether you'll want to finish the meal out is another matter entirely, but for all it does right and all it does wrong, it's unlikely that you're going to forget it for a while.